Angad Bedi is the chosen one to play Prithvi, the main lead in Sagar Arts' new period drama titled Legend of Prithvi for Star Plus. Check out the most updated and latest information about Angad Bedi's on the Internet.We have 3 videos of Angad Bedi including interviews, events, or public appearances.Angad Bedi has over 5 Fans registered on India-Forums.com. We have 20 Television News articles related to Angad Bedi.Do share your criticism, comments and feedback for the Actor on Angad Bedi's comments page. We have over 3 Photos of Angad Bedi to view and download including Angad Bedi's Wallpapers. 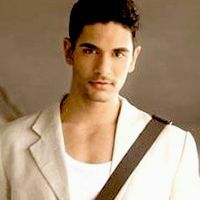 You are really hot Angad Bedi! My name is vivian i saw your profile today at /www.india-forums.com and i love it also became intrested in you,i will also like to know you more,and i want you to send an email directely to my email address so i can give you my picture for you to know whom i am.Here is my email address([email protected]) i believe we can move from here.my love distance or colour does not matter but love matters alot in life.i waiting to recive your lovely reply soon, Yours Love. I heard he would be hosting a reality show..what happened to that?